Sanwo-Olu vs. Sanwo-Olu. I came into Lagos for few hours of commerce and flying out in hours. 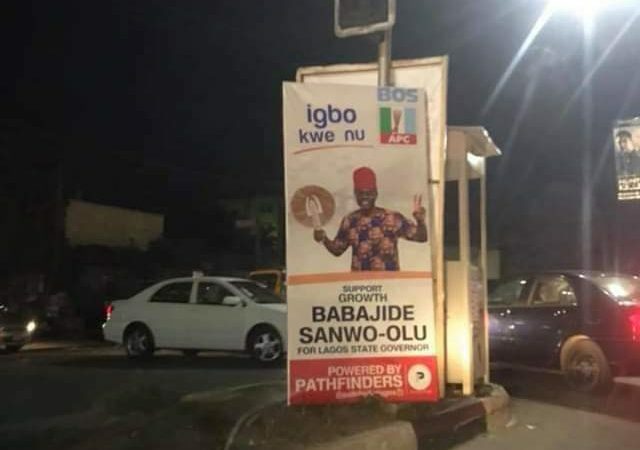 As I moved across connections meeting clients, one thing was evident on the billboards: Sanwo-Olu (APC Lagos state gubernatorial candidate) was running against Sanwo-Olu. Then, I saw the most magical micro-messaging: Sanwo-Olu spoke in Igbo, thundering “Igbo kwe nu” and below it, he has “Support Growth”. He has the best team in political campaign in Nigeria. The messaging changes as you travel from VI to Yaba, Oshodi to Ikeja. Let me say this: he is winning. 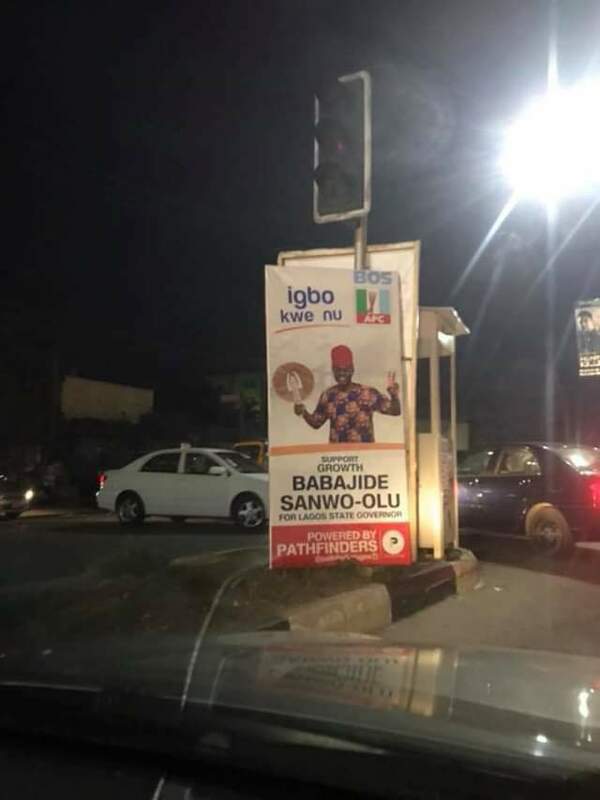 People, I am yet to see a billboard for the PDP gubernatorial flagbearer for Lagos state. Simply, we have a political asymmetric warfare here where Sanwo-Olu is winning hands-down. What is going on in Lagos State should be criminalized not celebrated. This is absolutely a disaster for democracy in Lagos State. You would imagine the Lagos State Government would have made a lot of income on advertising tarriff. This is not the case, Sanwo-Olu’s campaign is freely using the state fund to run the campaigns. No returns to the coffers of the state. This implies that income flow to the advertising companies in Lagos have been blocked, which would have economic effects and yet the state funds are still being used up.